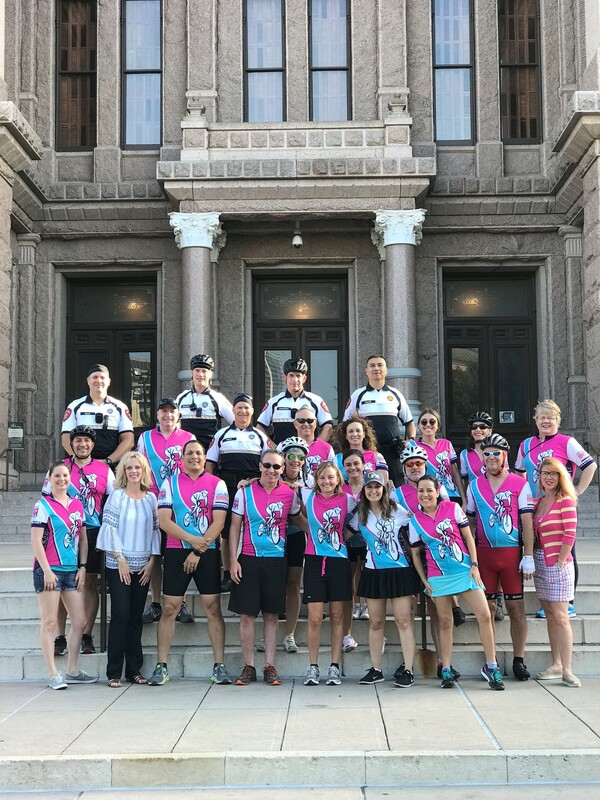 We ride 100-miles in one day, as one, unified team of riders, riding 2×2 at a 14-15 mile pace and escorted by local law enforcement in each jurisdiction. The Ride stops at schools along the route for educational rest stops, with silent tributes to missing children, recovered children and fallen officers along the way. Riders, their families and friends will be welcomed at the finish with a grand celebration! In May of 1995, a team of bicyclists rode their bicycles from Central New York to the steps of our nation’s capital, to promote public awareness on the plight of all missing children. They arrived in Washington, DC on National Missing Children’s Day, May 25th, at distance of 529 miles. 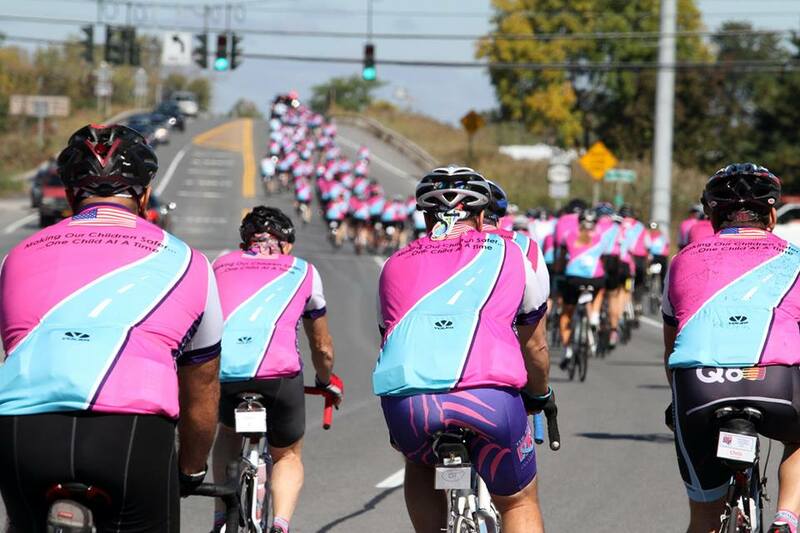 The Utica community continued the tradition of a Ride and because of this success, NCMEC/NY introduced the 100-mile Ride for Missing Children to the Rochester, Albany, Finger Lakes and Central New York communities. Plan to arrive early to allow yourself time for a light breakfast, to listen to our guest speaker and to learn important information for the day. We will be stopping at 5 elementary schools for 15-20 minute rest stops along the route and riding by multiple other schools. One of those rest stops will be a 30 minute lunch stop. Riders will have the opportunity to interact with the kids by handing out RFMC wristbands. This is also the time to grab food and beverage and hit the restrooms. SAG Wagons (“Supplies and Gear”) will be available to carry your gear along the Ride. At each rest stop the SAG Wagon crew arrives before the Riders to set up the food and beverage tables and have your gear bags ready for you. There is also a vehicle available as part of our procession for Riders who are not able to maintain the Ride pace during a portion of the Ride. Just pull over if you need a break or have a bike issue and the bus will pick you up. Simply re-join the group at the next stop. This is a Rain or Shine Ride! 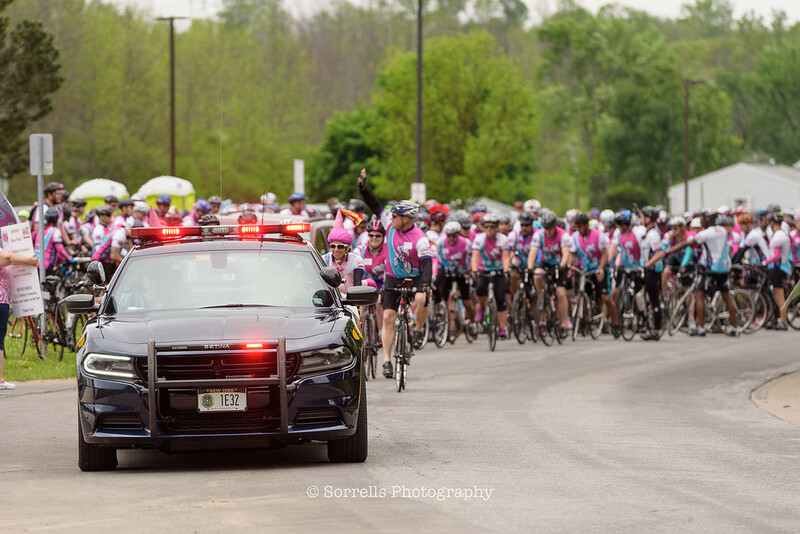 The Ride for Missing Children is a rain or shine ride. 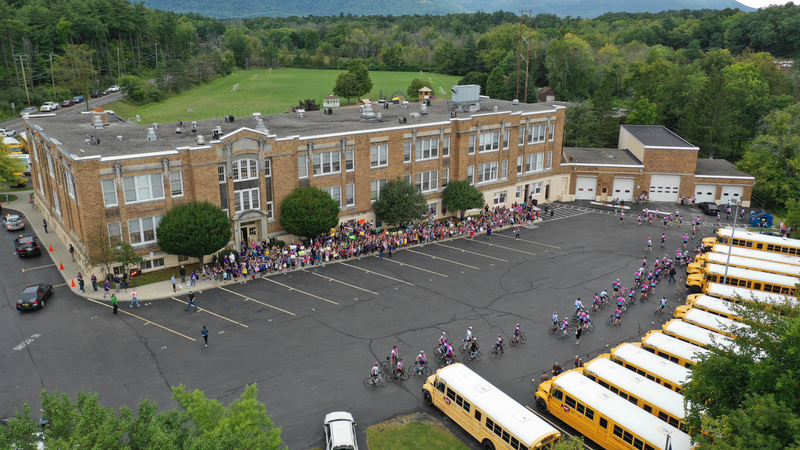 We have thousands of school children waiting for us to visit them with our message of child safety. All Riders should be prepared for the weather on the day of the Ride. We encourage you to attend our orientation rides to experience the effects of rain on your bike and to learn to dress for any type of weather. What Is The Closing Ceremony? All riders are encouraged to invite their families and friends to cheer them on at the finish line. We invite all of you to stay for dinner and closing remarks. It’s a great way to celebrate your accomplishment! Please contact us if you have any questions at 716-842-6333 ext 7021 or KGust@ncmec.org.